Aspartame patent: Bacteria genetically modified to poop sweet aspartame revealed to be E. coli. The use of the words ‘poop’, ‘feces’, ‘defecate’, and ‘excrement’ is truly unfortunate and used to sensationalize the process. Natural News has an agenda, or several agendas. First they are against genetic modifications to living organisms even though almost all discoveries and breakthroughs in modern medicine can be contributed to some form of genetic modification. Second, they are publicly against the use of aspartame in commercial products. First, E. coli do not ‘poop’ in the sense a human can relate. These are single-celled organisms and are rather leaky to certain molecules naturally. E. coli produce by-products, not poop. Metabolic end products are considered waste to the E. coli cell, but these natural end products include carbon dioxide, hydrogen gas, acetate (vinegar), and water. Their poop doesn’t sound so bad now does it? E. coli has been the organism of choice for decades in myriad research areas. Simple genetic modifications like gene deletion and gene insertion are the norm and can easily be performed in a lab. Scientists and doctors have used this technique to engineer novel strains of E. coli that tweaks their metabolism to produce useful products for the general public. One great example occurred in 1978 by Herbert Boyer who inserted the gene for human insulin into E. coli. Recombinant insulin was approved by the FDA in 1982 and is now the source of 70% of the insulin sold today. Human growth factor is another by-product engineered into E. coli to treat different forms of dwarfism. For hemophiliacs, E. coli are utilized to produce missing clotting factors like tissue plasminogen activator and factor VIII. It should be noted that before producing these therapeutics in E. coli, they were harvested from cadavers. Patients with immunodeficiency can receive recombinant interferon, used to treat viral infections, produced in bacteria. E. coli and other bacteria are used in other industries as well. They have been modified to produce large amounts of succinate, a precursor for the solvent 1,4-butanediol. It can then be used to make some plastics and even Spandex. E. coli are also used in the production of polyhydroxybutyrate, or PHB, for the production of plastics. E. coli is also used for production of polyamines for synthesis of polyamide plastics. Over the past decade, a lot of research has taken place in the field of renewable energy. One approach to lessen our dependence on foreign oil is the microbial conversion of cellulosic (non-food) plant material into viable fuels like ethanol and butanol. This task has given E. coli and other microbes ‘poop potential’. 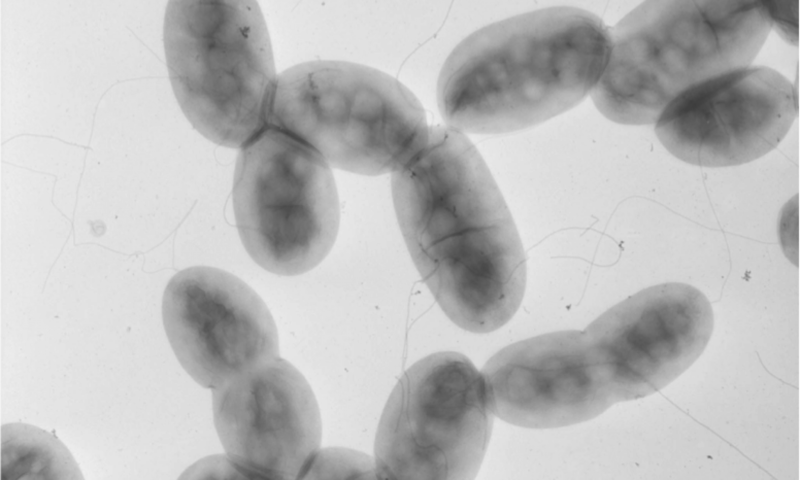 Through genetic engineering and synthetic biology techniques, E. coli can produce large amounts of free fatty acids which are one catalytic step away from the same diesel fuel derived from petroleum. E. coli is also engineered to produce precursors for jet fuel. In this post, I have focused on only one microbe, E. coli, since this was the bacterium sensationalized this week in the press. What do you say when #sequester eliminates your position? A fine line between hugging and strangling. 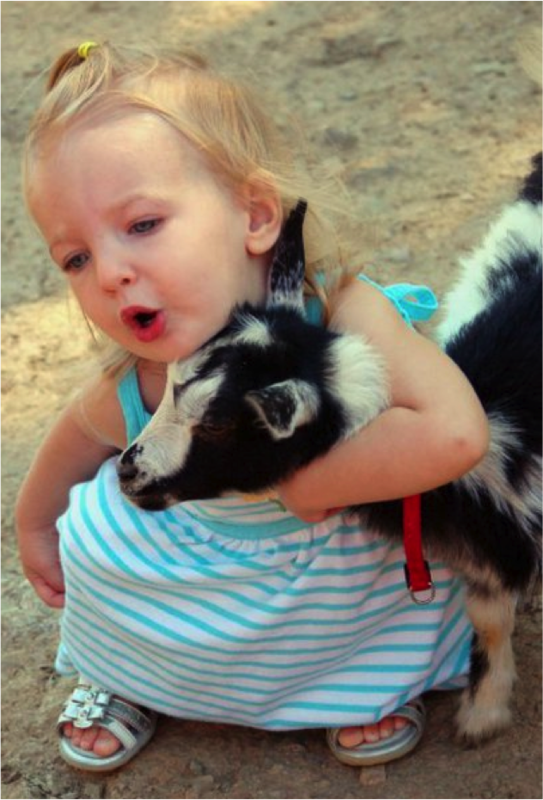 Sequester (my adorable princess) is a very misguided attempt to do what’s best for science and innovation (adorable baby goat). Warning: this will be a personal post with not much in the way of explaining scientific wonders. I had just graduated with my Ph.D. and was in the job market; ready for an exciting post-doc or a faculty position at a local community college. Full of ideas and enthusiasm, I was going to conquer the world and provide for my family. Little did I know Science had another idea. I applied instinctively for a Research Associate III position. “Science Writer? Hmm, sure, why not?” I thought. They wanted a writing sample based upon a recent journal article. I got a call for an interview and happily scheduled it in my calendar. I was still on the research/post-doc bandwagon and didn’t think much of the science writer interview until I sat in that chair and talked for an hour about science. It opened my eyes to a whole other world. A world filled not with test tubes and media bottles but with a computer and an imagination. A long term goal of promoting science to anyone who cared to listen soon became a reality when I was offered the position. “You want to pay me how much? I would do it for free!” I thought. I settled into my new home, an actual office with a window and two computer screens. I was living the American dream. I was studying up on previous documents the group had published; top quality, award winning documents. While waiting for my first assignment, I started a blog to tell the world all the wonderful science discoveries I was taking note of. The group was going through an usual dry spell. “Don’t worry, it will pick up” I was told. It was fall and we should have some meeting documents to work on first of the year (2013). Thanks to the failure to reach a compromise in response to the Budget Control Act of 2011, budget sequestration took affect January 1, 2013. Austerity had reached American shores and it wasn’t pretty for science and innovation. No new programs could be organized and the forward-thinking science program managers were handcuffed to politics. “It won’t affect me” I thought. Operating on a continuing resolution also meant no new monies for programs…strike two. Thanks to the GSA ‘training sessions’ in lavish resorts, travel restrictions were placed across all federal agencies…strike three. On August 13, 2013, I was told my position was being eliminated due to lack of work. My wife had just taken a administrative leave without pay from her position because we were days away from becoming foster parents. We also had just found out she was pregnant after a year of trying, including one (maybe two) miscarriages. If you need a face to put with sequester, try my four year old’s.